Utah’s First Net Zero Community | Wheeler Machinery Co. 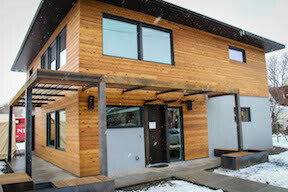 Living Zenith is Utah’s first net zero community setting an unprecedented standard for energy efficiency in the state. With smart tech and strategic design, these green homes generate as much energy as they use in one year. Net zero is achieved through three key factors: design site right, seal it tight and power with sunlight. Caterpillar solar photovoltaic systems, provide d by Wheeler Power Systems, a division of Wheeler Machinery Co., power these homes. The systems are designed with capacity to export surplus electricity to the local power grid and optional energy storage systems which will allow the homes to draw upon solar power even when sunlight is not available. 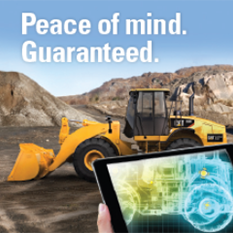 “Wheeler Power Systems is thrilled to be a part of this innovative, cutting edge project. This development is a shining example of what can be achieved when economic development is balanced with environmental stewardship. We look forward to future projects that, like this one, exceed the expectations of our customers while contributing to the sustainability of our beautiful state,” said Jonathan Campbell, Vice President of Sales and Rentals at Wheeler. Living Zenith is the outcome of a multifaceted collaboration of the Governor’s Office of Energy Development, Salt Lake City’s Sustainability Department, Wheeler Power Systems, Portland Energy Conservation, Inc., Utah Clean Energy, University of Utah and other innovators committed to improving Utah’s air quality. 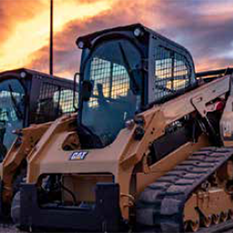 About Wheeler Power Systems: Caterpillar’s high-quality power generation solutions and Wheeler’s best-in-class support ensure optimal performance for the life of customers’ power systems. From small homes to the largest mines and industrial operations, the versatility of Cat solar PV provides clean, efficient and cost-effective energy. 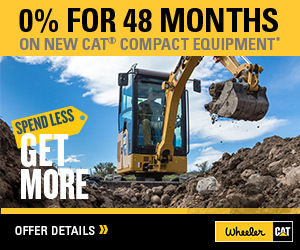 Established in 1951, Wheeler is a full-service Cat dealer with 10 locations throughout Utah plus one in Nevada.